Coupon code is required. Promotion limited on time. min order amount is $40. Credit Rewards as payment -- When credit rewards are used to pay for an order, Cash Back will be only be paid based on non-rewards payment remaining if 100% of the order is paid with credit rewards, there will be no Cash Back awarded. Purchases may only be for personal use. Resale or commercial purchases of any kind are not eligible for Cash Back. 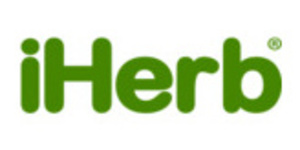 Founded in 1996, iHerb is a pioneer in selling health and wellness products online. They have evolved as a global leader of healthcare products, vitamins and cosmetics. You&apos;ll find more than 1,200 brands and 30,000 products that you may also find at health food stores and natural pharmacies -- with one important difference: Our prices are typically 30 - 50% less!